If your loved one has died and you are seeking cremation for them, then you may greatly benefit from the services that we provide. We also understand that you may have many questions as well as uncertainties regarding the process. The following information is designed to provide you with some general answers to common questions. Contact us today at (918) 499-8787. My loved one has died; what should I do first? Call us right now. Once permission has been given by the medical authorities, we will transport your loved one to our cremation care facility. Our compassionate cremation specialist will help you with the paperwork needed to finalize all the details. Your loved one will not leave our facility until the process is complete. Does my loved one have to be embalmed before cremation? No. We do not embalm your loved one. Oklahoma state law requires refrigeration or embalming for the deceased, and we utilize state-of-the-art refrigeration, which is included in the total cost. May I prepay the cremation costs? Yes. If you choose to prepay, then the cost is guaranteed. If you choose this payment option, then your funds will be placed in a state-approved plan through American Century Life, and the funds will be released to us after you or your loved one passes and our services are rendered. 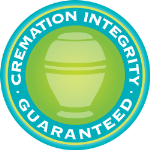 How can I ensure the integrity of my loved one's cremated remains? Our business utilizes sophisticated identification procedures to guarantee people's remains. These are the same procedures used in hospitals. Your loved one's body is placed in an empty chamber and then cremated. Do you own & operate your own cremation facility? YES! You may be surprised to learn that most funeral homes in Tulsa do not operate their own cremation facilities, rather, they often subcontract out to a third party in another town. By contrast, the Cremation Society™ owns and operates our own cremation facilities. Our equipment is state-of-the-art and equals or exceeds every state and local operating requirement. Our crematory is always available for inspection. Please also read about our worry-free guarantee, because it is important to us that everything goes as smoothly as possible during this time. What happens if the death occurs while out of state? If death occurs elsewhere, one call to the Cremation Society™ is all that is necessary. Our staff will handle all arrangements according to your wishes through our Cremation Society National Network. Ask about our Nationwide Guarantee Plan. How are Social Security and veterans benefits handled? The Cremation Society™ assists you in applying for death benefits, which are paid directly to you. Veterans may receive cash benefits, cemetery space, and a marker if certain requirements are met. Our business is built on family-oriented service, and we are committed to helping you fulfill your loved one's last wishes and to meeting your family's needs. You can be sure that your loved one is safe with us; we utilize various approaches to ensure the integrity of your loved one's remains, and they do not leave our facility until the process is complete. Speak with a member of our staff today to discuss your situation and to begin the process of caring for your deceased loved one.